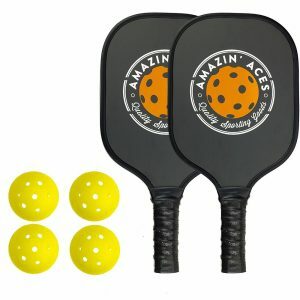 Our Amazin’ Aces Graphite Pickleball Paddle Set was designed to be great pickleball paddle at an affordable price. 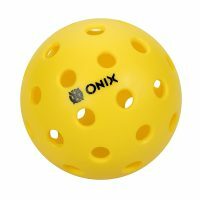 Great for both beginners and for players ready to take their game to the next level. 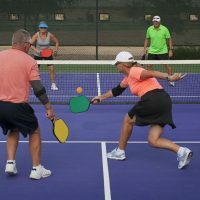 With purchase, you’ll also receive a PDF guide with pickleball rules and tips to help you hit the ground running on day one! The materials of the Amazin’ Aces Graphite Pickleball Paddle Set were carefully selected to provide maximum durability and playability. The graphite face ensures superior strength that virtually eliminates dinging and denting. 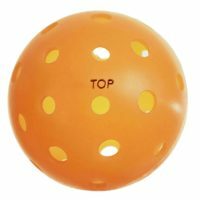 The honeycomb core is lightweight yet strong enough to survive countless dinks, volleys and slams. 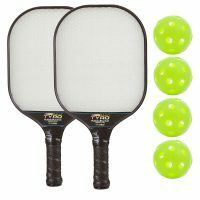 This paddle allows for a perfect blend of power and control while not getting you fatigued like some of the heavier paddles on the market. A high quality grip to keeps your the grip feel dry and solid. 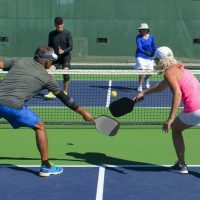 The edge guard protects the paddle from ground hits while maintaining maximum paddle playing face. Received our order on time and feel we have a good start to learn the game. We had a couple of beginner’s lessons using wood paddles, so the lighter graphite are a welcome relief. I did fail to notice when I ordered that to paddles were 9.2oz and I just assumed they were somewhere between 7-8 oz. My error. 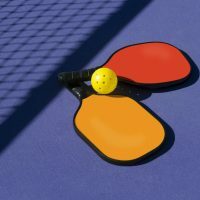 Have not played with them yet, but would be happy to give and update later once we get several plays with the paddles. I am really impressed with this company’s customer service. 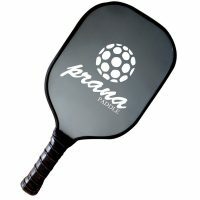 Paddles are very lightweight and have a very comfortable “wrapped” grip. 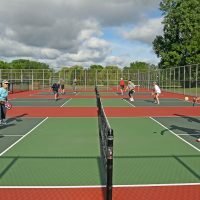 Quality of the paddle seems very good–just used them this morning for the first time and enjoyed the feel of the paddle after 2 hours of play. Graphite surface shows no marks. The balls that came with the set are for outdoor play. 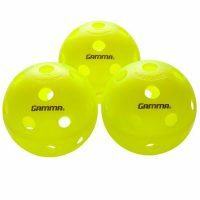 They seem different than other balls we’ve used–the holes seem considerably smaller than most pickle balls. However, they held up very well (even one that I accidentally stepped on and “crushed”. I just inserted a key to “pull” the dented portion of the ball back into round, and it played just as well after the repair! i think it is rightly priced …. low price does not really mean mediocre. 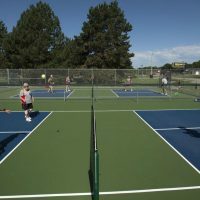 this was my first paddle, so after a few months, i decided to try the higher priced ones, but, after playing with them (and returning), i ended buying this specially priced 2 amazing aces with 4 balls. can’t really explain why. got used to it, being it was my first paddle? anyway, i think the handle could be a little bit longer and rounder. the handle feels short and flat(?) i did wrap mine with an overgrip so, it feels rounder.